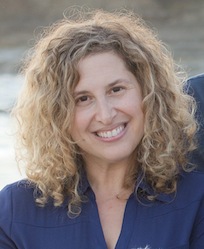 Associate Professor Sarah Pressman is an Associate Professor of Psychological Science at the University of California, Irvine. Generally, my research examines the role that positive emotions and other positive factors play in influencing stress and health outcomes. I am especially interested in exactly how these factors “get under the skin” to influence our well-being and protect us against the harmful effects of stress. Pathways that I have examined include physiological processes such as stress hormone reactivity, cardiovascular response, immune system change, as well as health behaviors like sleeping, exercise, and other leisure activities. I also do research on the role of these positive psychosocial factors in buffering the detrimental effects of stress. For example, I am interested in whether happiness is associated with an improved ability to handle stress, both from a psychological and a physiological standpoint. I am also very interested in using relationship and emotion markers outside of self-report as predictors of health. For example, computerized word encoding of writing, or positive facial emotion expression (e.g., smiling) as alternative, unobtrusive methods of understanding individual differences.